The first game on my list is a widely successful one from Yacht Club Games that recently received a retail version and a special Amiibo, granting players on the Wii U version some nicely done and frenetic co-op gameplay. A mix of many classic NES platformers like Mega Man and DuckTales, Shovel Knight is a superbly designed game that gets why players enjoy its influences so well. Combining Metroid-style exploration with a world filled with Mexican influences and video game references, Guacamelee! Super Turbo Championship Edition plays as well as it looks, which is to say, it plays awesomely. Use luchador wrestling moves and abilities not just to beat enemies into submission, but to also reach new areas you otherwise couldn't reach. 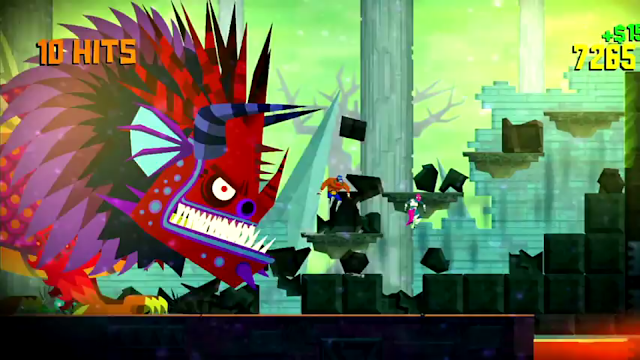 With a fantastic soundtrack, appealing visuals, and tight gameplay, Guacamelee! is a fantastic title worthy of playing. 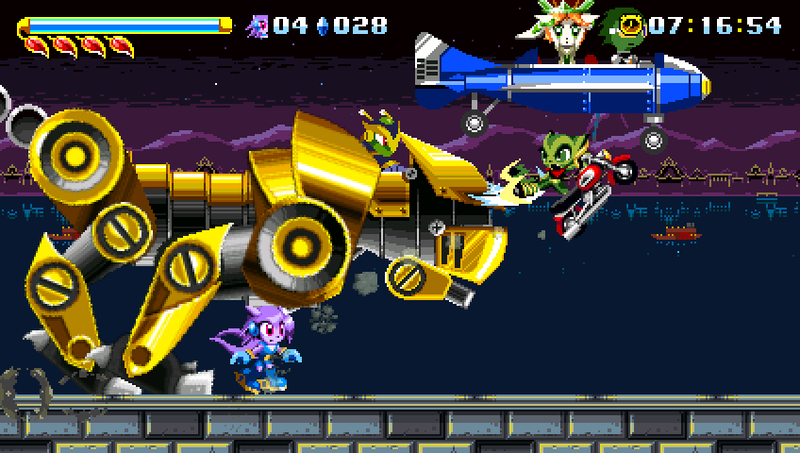 Originally a Sonic the Hedgehog fan-game, Freedom Planet became its own thing when the developers realized just how special the project they were working on actually was. With lengthy levels, speedy platforming, and few bottomless pits to get tricked into falling in (I'm looking at you, recent Sonic games), Freedom Planet is an incredible, gorgeous 2D action platformer full of well designed levels, secrets, and impressive boss battles. Both Trine 2: Director's Cut and Trine: Enhanced Edition have been... well... enhanced for the Wii U with the use of the Wii U GamePad and alternate controls for those who want a more traditional experience. With over 30 levels across both titles, you control one of three characters, solving complex physics-based puzzles. 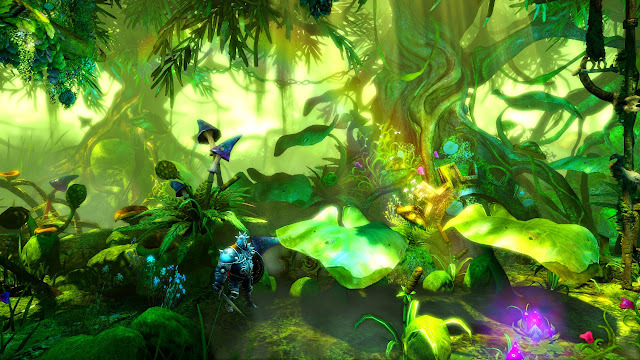 Both Trine games are an absolute delight with ingenious level design and impeccable visuals, all making for a duo of games that are as valuable as the Trine artifact itself. The so-called Metroidvania genre of platformer is a popular one with indies, and it permeates into SteamWorld Dig from developer Image & Form. You assume the role of Rusty, digging and mining your way through the underground, a place teeming with both treasure and terror. The concept of randomized worlds means each go at it in the mines is different from the last. 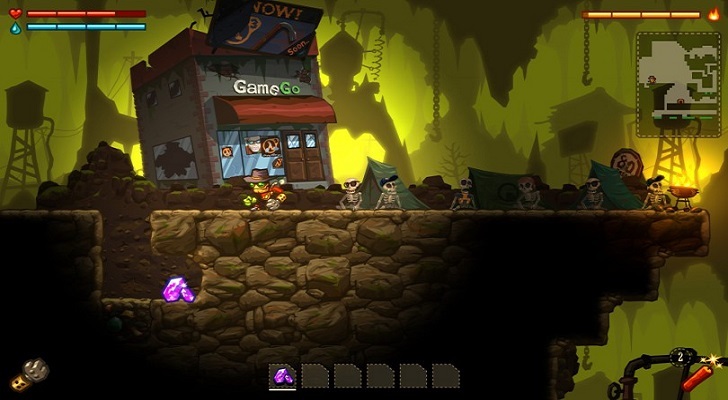 With beautiful HD visuals, all the HUD info on the Wii U GamePad screen, and off-TV play, SteamWorld Dig is a treasure just waiting for Wii U owners to unearth. This Wii U exclusive was built for the system, allowing for up to nine players to indulge in some wacky, crazy, party action. 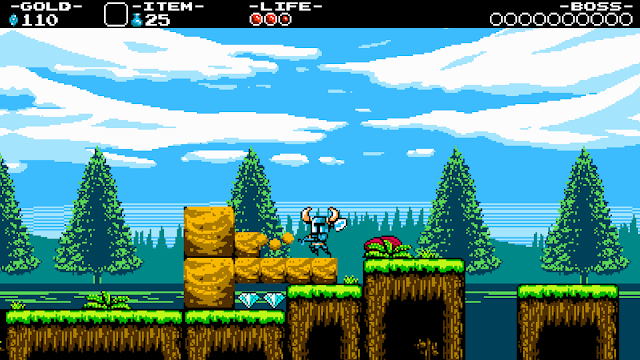 Platforms appear and disappear as the colored background changes. What was once a solid green platform disappears as the green backgrounds slides over it. 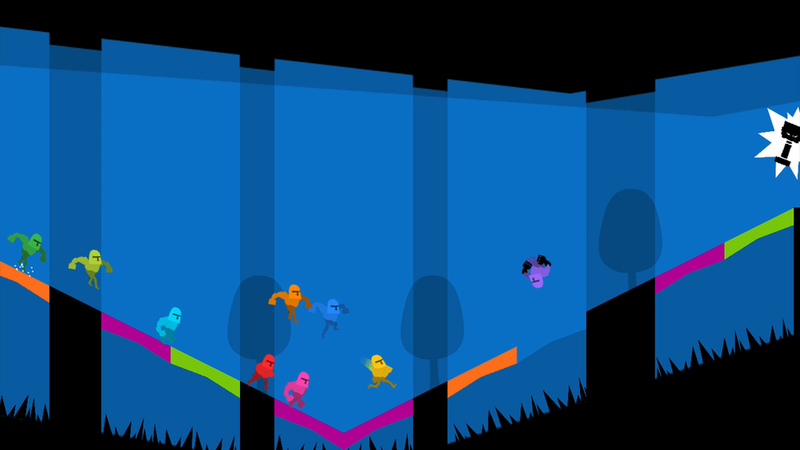 The many modes of Runbow, including King of the Hill and Run, as well as a deep adventure mode, which recently received new DLC, offers so much content, replay value, and best of all, fun. Using the Wii U GamePad to great effect, you use the controller to pilot your spaceship, immersing you into the game. You have amazingly precise controls over your spaceship as you move it through the stealth and puzzle sections Affordable Space Adventures provides. Team up with two other players for one of the wildest and innovative co-op experiences this generation. If you're looking for a game that puts the Wii U GamePad to fantastic use, Affordable Space Adventures is that game. If at first you don't succeed, die, die again. Or is that try, try again? 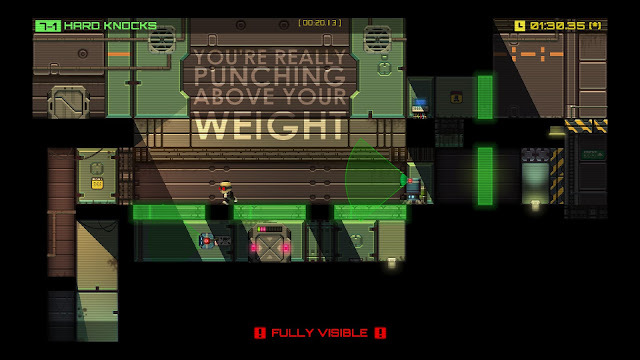 Regardless, you'll be doing both and loving moment of it in Stealth Inc. 2: A Game of Clones. Attempting to escape a testing facility, you play as a robotic clone, tasked with getting through over 60 test chambers to earn your freedom. With insanely clever puzzles, intense boss encounters, and a level creator, Stealth Inc. 2: A Game of Clones is a tremendous title for Wii U owners. Through using the powers of pixel absorption in the 8-12 hour campaign, the main character Pip, formerly a modest pixel, can evolve into various 8-bit and 16-bit forms, each with their own unique strengths and abilities. 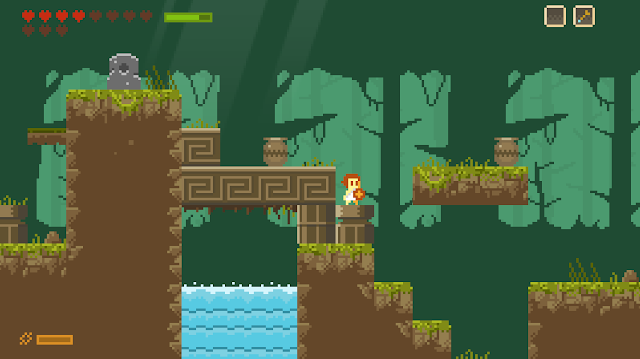 These forms are used to solve environmental puzzles and face enemies in this charming and creative 2D action platformer. Outside of this clever gameplay mechanic, the level design is the star of Adventures of Pip, full of ingenious obstacles, enemy placement, and smartly placed secrets. If you've got a craving for a more beginner friendly Zelda II gaming experience, then Elliot Quest fits that bill quite nicely. The game hardly holds your hand, forcing you to explore the various areas of the game to see how and where to progress. This might turn off more impatient gamers, but trust me, I'm a total idiot and I managed to beat the game rather easily. Earning new upgrades, challenging puzzle-filled temples, and facing stellar boss battles, Elliot Quest is a gem in the Wii U eShop's rather crowded marketplace. DuckTales! Woo-ooh! 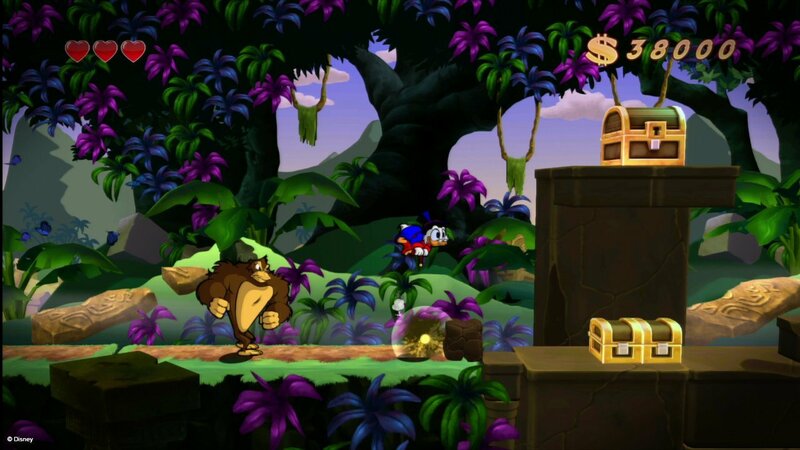 Also available in retail, DuckTales Remastered is a marvelous remake of the NES original DuckTales. New story elements have been added to bring some clarity as to why Unca' Scrooge and his nephews travel to each of the game's six locales. The art and music are excellently done, and the pure platforming and treasure hunting is as magnificent as ever. DuckTales was a great game on the NES, and it's made even better in this writer's opinion with this digital download. This third game in the Shantae series is a Metroid-structured game filled with a hilarious cast of characters, lots of loot and treasure to discover, multiple well crafted environments and areas, and challenging gameplay. 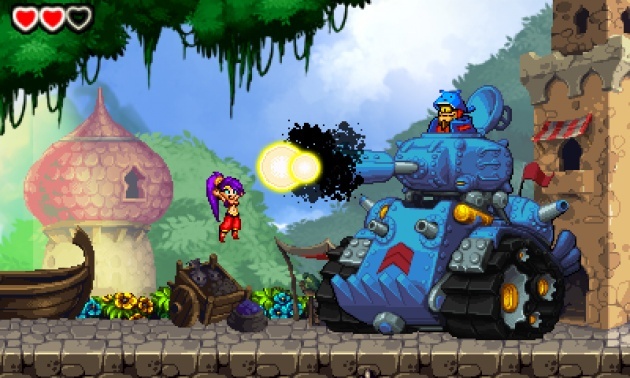 Like any Metroid-style game worth its weight in treasure, Shantae gets upgrades in the form of new hair extensions and weapons to beat down foes and progress in this lengthy adventure containing multiple endings for completionists to enjoy. 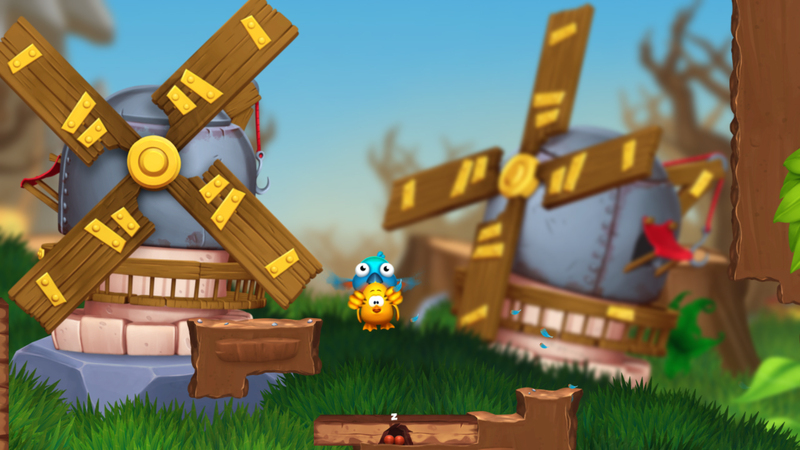 An auto-runner that utilizes rhythm-based gameplay, Runner2 is packed to the brim with content, including five worlds, over 120 unique levels, a handful of intense boss battles, and multiple hidden areas that unlock new costumes for hero CommanderVideo to wear. Addicting is almost an understatement when talking about Runner2's engaging gameplay. 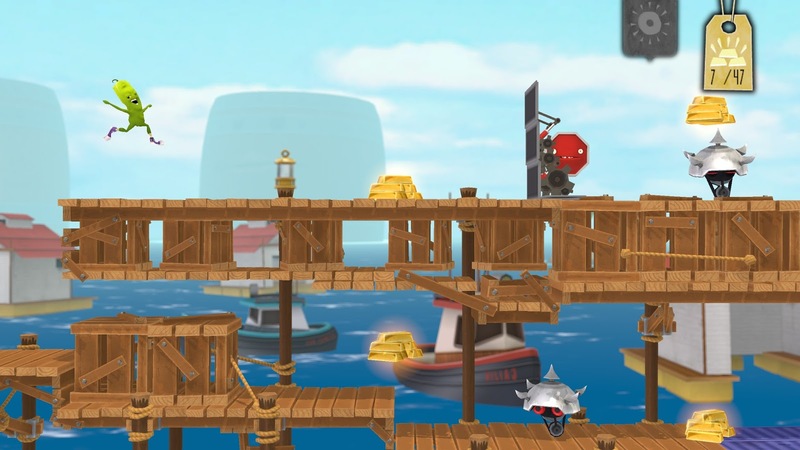 If you own a Wii U and want an auto-runner with lots to see and do, Runner2 is it. Toki Tori 2+ is a game designed by geniuses, truly. How it teaches you to use skills you already have to reach new areas in the massive overworld is just remarkably clever. Really, you can go anywhere you want at the start of the game, but you probably won't be able to because you won't have the knowledge on how to use your move set with the utmost efficiency. Throw in an adorable aesthetic, smart puzzle and world design (which I touched on earlier), and you have a game that shouldn't be ignored just because of its cuteness. Nintendo really hasn't done much with its own digital releases on the Wii U eShop, which is just fine, because as we saw last Friday, their retail output is outstanding. Anyway, NES Remix 1 & 2 (now available in retail as the NES Remix Pack) takes familiar NES classics and puts a remixed spin on the. It takes the games and puts them into timed bite-sized challenges that require quite a bit of skill to ace. Whether it's defeating a certain amount of enemies with the Super Star power-up in Super Mario Bros. or playing as Link in Donkey Kong, both NES Remix games tickle that nostalgia bone nicely while also adding enough newness to make the entire package of each game feel worthwhile. NST has been stuck on Mario vs. Donkey Kong games for a while. It's like a more adorable version of purgatory, I guess. 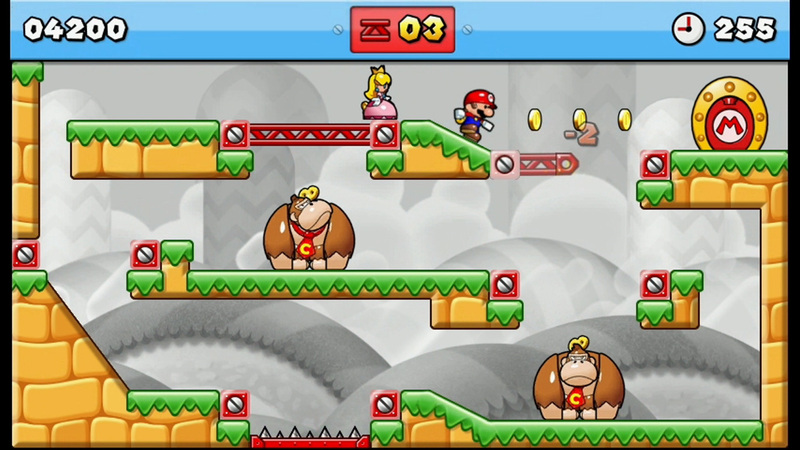 That said, Mario vs. Donkey Kong: Tipping Stars is one of the better entries in the series, offering a wide amount of levels to play, puzzles to solve, and the ability to create and share your own levels, earning stars from other players based on how much they enjoyed them. While the formula is growing a tad long in the tooth, Tipping Stars remains an enjoyable game that uses the Wii U GamePad well. 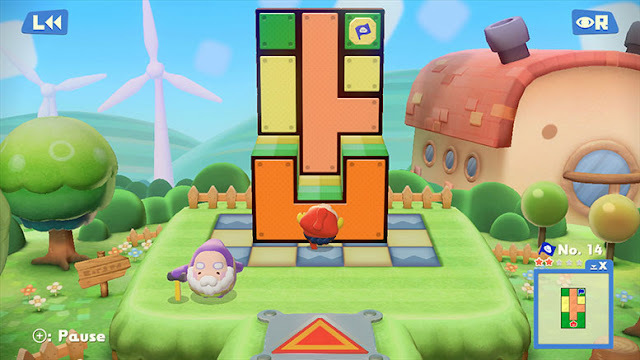 Debuting on the Nintendo 3DS eShop, Pushmo was a game where players strategically moved around a tower of blocks to reach the top where the goal usually stood. Pushmo World takes the concept and runs with it, offering even more levels of puzzling predicaments for our hero Mallo to solve. Like with the original Pushmo, in Pushmo World you can create your own levels and share them with the world. This essentially gives players an unlimited amount of puzzles to solve, pending you don't get burnt out eventually. Being an octopus is hard. Being a dad is even harder. Being an octopus dad without any bones in your tentacles makes getting hard. Being an octopus dad without any bones in your tentacles while trying to keep your octopus existence a secret from your human family is even harder. 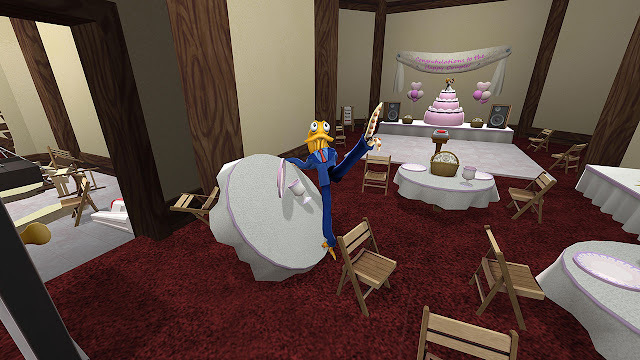 The fun, however, is trying to move the octopus dad around the Octodad: Dadliest Catch's environments, causing rampant destruction in your wake. An extraordinarily zany and amusing game, Octodad: Dadliest Catch is quite the catch, indeed. The simple but insanely difficult Mutant Mudds platforming series returns with last month's Mutant Mudds Super Challenge, also available on the Nintendo 3DS. (Buy one, get the other version free.) 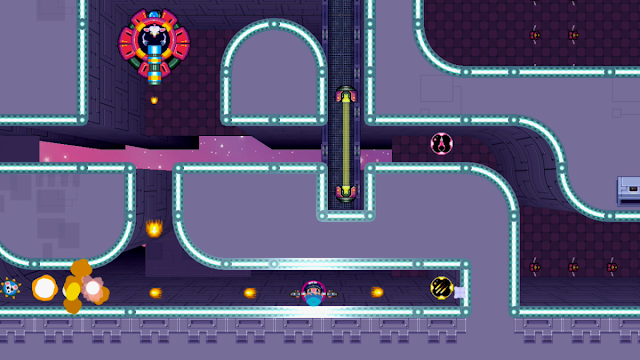 This challenging platformer requires patience and precision to get through its over 40 unique levels with hero Max's running, jumping, hovering, and blasting abilities. 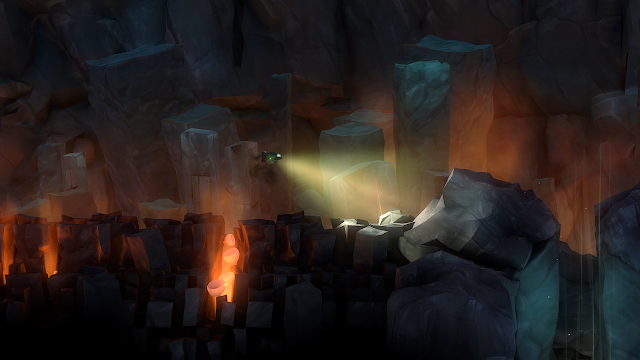 However, thankfully the experience isn't overly frustrating due to the generous sprinkling of checkpoints in each level. 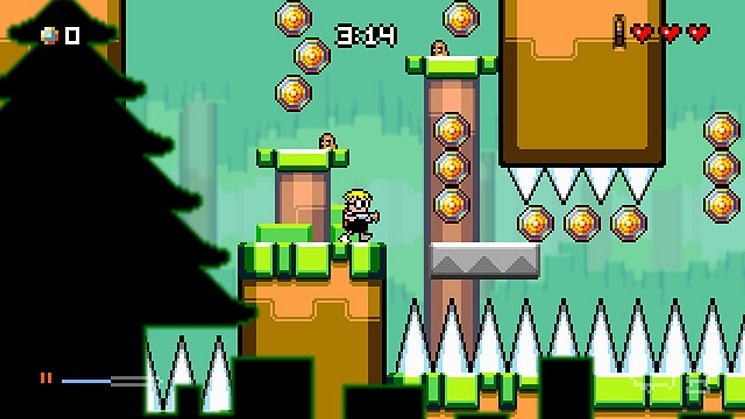 For a retro delight that plays well, Mutant Mudds Super Challenge is waiting for you. 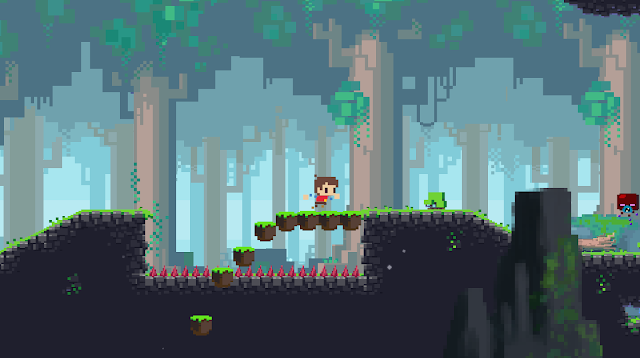 An innovative 2D platformer that has your character running along rails, leaping from rail to rail to collect the various missing kitties in each level. Scram Kitty and his Buddy on Rails is criminally underrated and overlooked (even with its PlayStation Vita port simply called Scram Kitty DX), so definitely check it out as soon as you can. 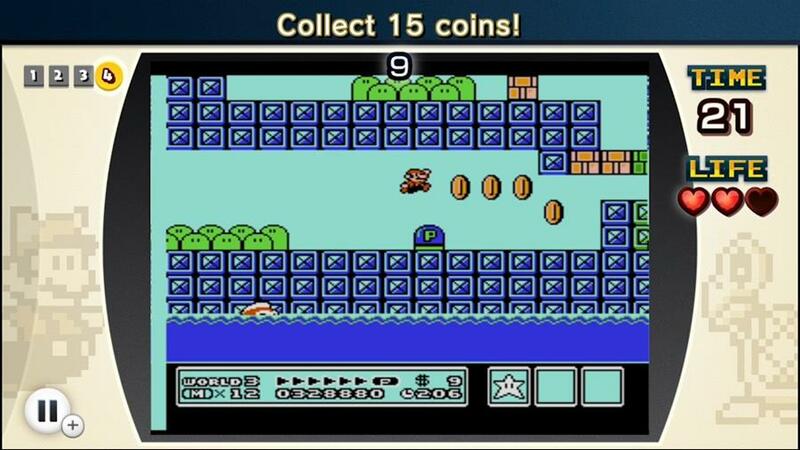 It's worth finding in the Wii U eShop, definitely! If you're like me (and you should hope to God you're not), you're quite amiss because of the lack of any new F-Zero or Wipeout games. Well, if you're open to a futuristic racer from a different publisher than Nintendo or Sony, then the Shin'en Multimedia-developed FAST Racing Neo will more than suffice for the time being. The FAST in its name is no misnomer. This game has intense speeds, a steep difficulty, and addicting gameplay for four players locally or eight players online. Be prepared to crash a ton before you learn each track. 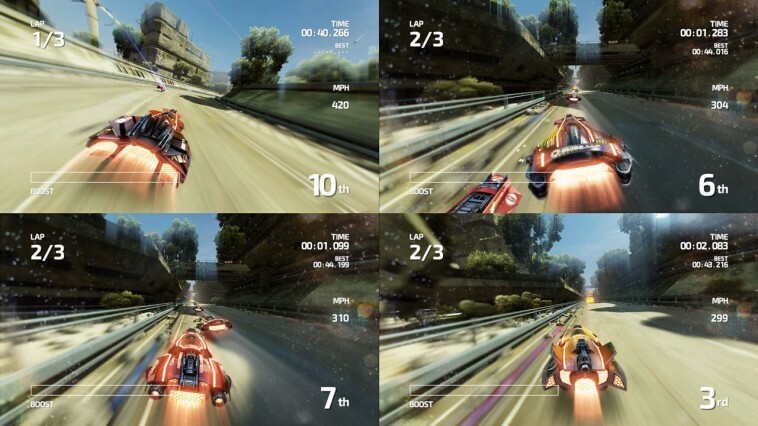 Don't be fooled-- while FAST Racing Neo is fun, it will infuriate beginners, so skilled gamers only need apply. Another Neo release launched by Shin'en Multimedia, Nano Assault Neo has you piloting your virus-eliminating craft around spherical worlds, blasting away at microscopic pests in this twin-stick shooter. The game fits the pedigree of the developer well with stunning visuals and high octane action. 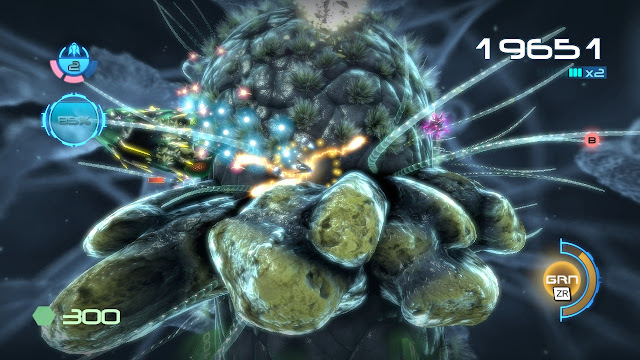 Nano Assault Neo was one of the Wii U eShop's first titles, and it's still as impressive as it was when it originally launched. If the lack of an entirely new Zelda on the Wii U has you feeling down and yearning for something-- any kind of Zelda-like experience, then do I have the game for you. The top-down 2D Zelda-like gameplay of Ittle Dew is positively delightful, offering lots of humor as well, such as asking what kind of monster the hero is for collecting (and possibly eating) hearts for health. 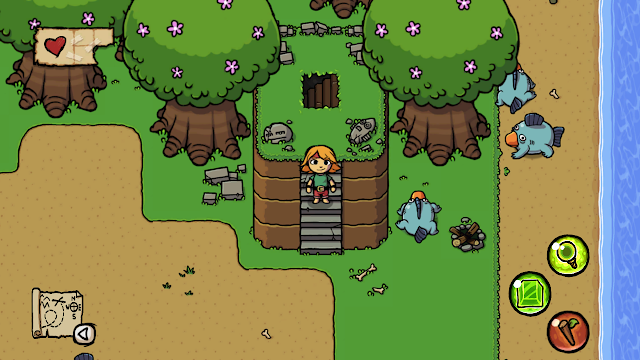 Ittle Dew is a fabulous adventure filled with brain-busting puzzles and engaging combat. It might not BE Zelda, but it certainly takes up the role quite nicely. 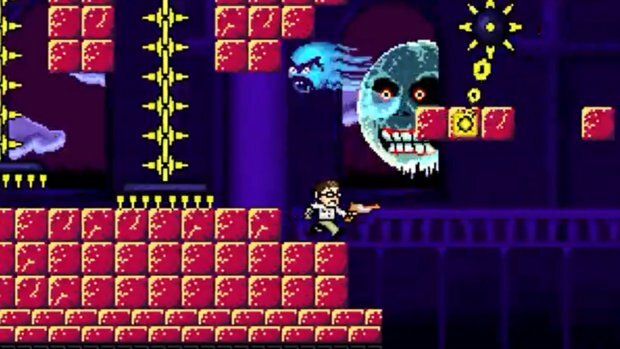 Inspired by the retro games that the 'Nerd grew up on (though not the bad ones that he's wont to review), Angry Video Game Nerd Adventures is an old school 2D platformer that is inspired by James Rolfe's popular online series of videos. Whether you like hard, retro inspired 2D platformers or are a connoisseur of poop jokes (aren't we all? ), Angry Video Game Nerd Adventures is a surprisingly fun game that will test your gaming mettle. Last but certainly not least, Gunman Clive HD Collection is made up of both Gunman Clive and Gunman Clive 2, two Nintendo 3DS releases. Both games have been beautifully remade in all their high-definition glory, looking and of course playing great. 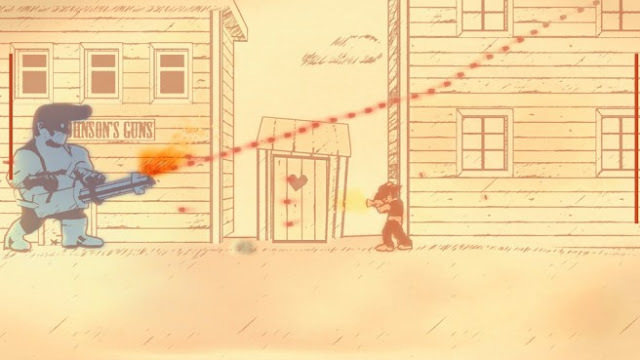 Both Gunman Clive games play like a Wild Western Mega Man game, chock full of massive bosses to blast to smithereens and challenging levels to traverse through. Ride 'em, cowboy. Yee-haw!